Drawing inspiration from family recipes, Peruvian cuisine has been placed in the major leagues of global gastronomy after the contribution of ‘Central’, a restaurant run by a chef whose brilliance is still misunderstood by the average Lima citizen. Owned by local chef Virgilio Martinez, 37, Lima-based Central has been recognized as the 4th best restaurant in the world according to the World’s 50 Best Restaurants list issued by the British Restaurant Magazine. “We are grateful and aware of our responsibility,” Martinez wrote on Twitter from London, where winners’ names were announced. The Peruvian enrolled in a French haute cuisine school in Canada, after a brief incursion at a Law School. He studied in prestigious organizations around the world including: Singapore, New York and Bangkok. He precisely led the opening of Gaston Acurio’s restaurants in Bogota and Madrid. Both Peruvian cooks share the same concept of using Peruvian cuisine to promote social inclusion, intended to create a chain between owners, small-scale farmers and fishermen in order to spread Peruvian gastronomy around the world. Virgilio offers 100 percent of signature cuisine. His cuisine is a personal interpretation of Peruvian supplies. 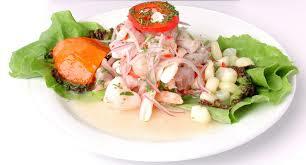 His creations display a particular view of Peruvian cuisine,” Food critic Nora Sugobono told AFP. Virgilio is considered a misunderstood genius in a country where eating well still means eating a lot. “Locals do not understand his essence. They complain about the portions (as they are minimalist),” she added. He owns a London restaurant named Lima, which he opened two years ago and has been awarded a Michelin star. He also plans to open a franchise in Dubai by December. Central’s menu shows the variety of ingredients contained in the natural wealth of Peru, a country of an exceptional biodiversity.